passed away Wednesday, October 10, 2018, in Newburgh. He was 83. The son of the late Theron S. and Ethel Turner, he was born March 27, 1935 in Walden. Norman was a member of the Wallkill Reformed Church for 30 years, where he served as an elder, consistory president, lifelong choir member, and a 30 year representative to the Classis of Orange, serving as president for two years. He was currently director of the Loaves & Fishes Food Pantry. 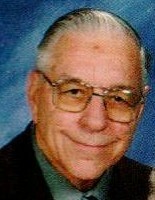 Norm worked for 29 years as a clerk at the Manheim Auto Auction in Newburgh. He was an avid bowler, having served at the treasurer of the Middletown Bowling League, enjoyed cheering on local drivers at the Orange County Speedway and was a Mets fan. He was also a proud farmer and always had a love of all animals. He was predeceased by his wife of 48 years, Judith Turner. Survivors include his Brothers-In-Law Paul Zwart & his wife Kathy of Walden, David Zwart & his wife Karen of Goose Creek, SC, Daniel Zwart & his wife Wendy of Ashburn, VA; Special Cousins Ruth Ellen Nielson & her husband Charles,Carol Sauer & her husband Harry; nieces, nephews, and extended Church, pantry, and work friends. The family would like to express their gratitude and thanks to the doctors, nurses, and staff of the 4th floor at St. Luke's. A funeral service will be held Saturday, October 13, 2018, 10:00 A.M. at Wallkill Reformed Church, 45 Bridge St., Wallkill, NY 12589. Pastor Stan Seagren will officiate. Burial will be in Cemetery of the Highlands in Highland Mills, NY.